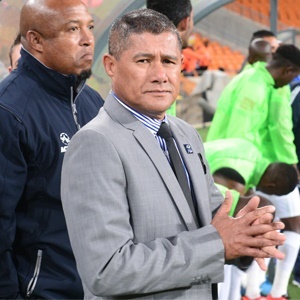 Cape Town - AmaZulu coach Cavin Johnson says he expects a rigorous tactical examination from a versatile Kaizer Chiefs team on Sunday in the Telkom Knockout first round. Amakhosi counterpart Steve Komphela has proven to be a shrewd tactical operator in recent matches, as he played Willard Katsande in the holding role in a 2-1 win over Mamelodi Sundowns, before switching to two defensive midfielders for the 0-0 draw against Orlando Pirates, in Katsande and George Maluleka. Komphela also tinkered with his line-up against Bucs as he brought on Gustavo Paez in the second half and changed from playing a lone striker in Bernard Parker to more of a two-up-top approach. As such, Johnson is under no illusions about the task facing Usuthu at the Moses Mabhida Stadium this weekend. He told Sowetan Live: "It is going to be a tough game for us because Chiefs are playing good football at the moment. What I have noticed about them is that they play one way in the first half and the other way in the second half, like they did in the derby. "I don't know which system they are going to use against us but they will probably do the same. We know that Chiefs have a good following in Durban. We must do our homework and hopefully we will be able to put out another good performance. "The other plus for us is that we have a little bit of time to make sure that we recover adequately and prepare as best as we can for the Chiefs match."